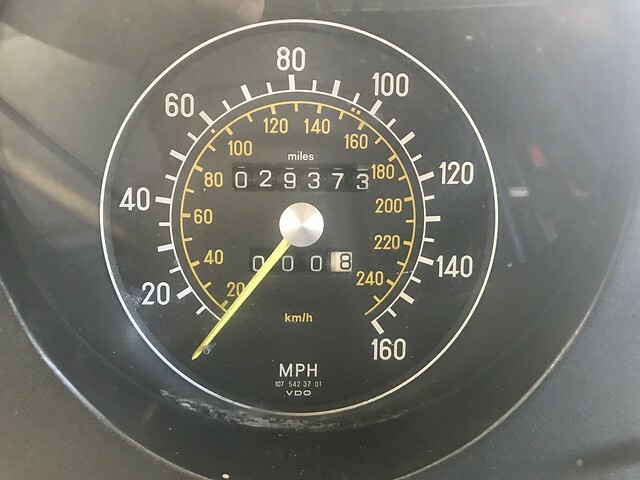 Topic: Just Bought A Low-Mile 1977 450SEL! Let me first introduce myself. Hi, I’m Brad. Just picked up my first W116 (I’ve owned a 380SL, 300D, and 190E in the past). My main area of expertise is 80s BMWs and aircraft. Admittedly, I don’t know a ton about old Mercs, but my mechanical skills are pretty decent. Anyway, onto the newest acquisition... a 1977 450SEL in Astral Silver over blue MB Tex. 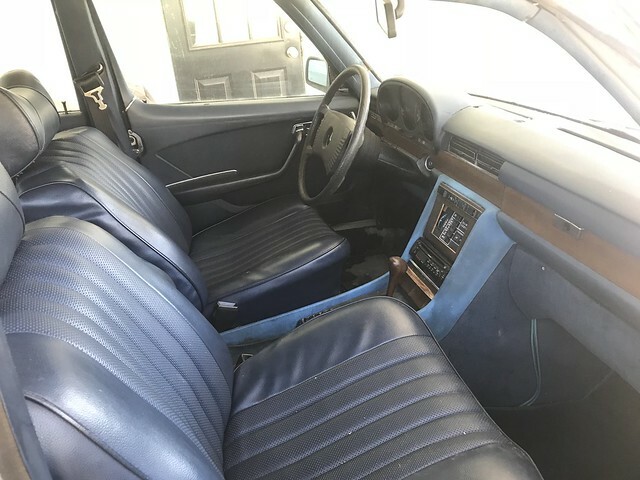 It’s not in the greatest of shape, as it’s been stored for many years, but it’s solid, does run and only has 29k original miles on the clock. Looking forward to learning a thing or two and getting this classic Mercedes back on the road after all these years. 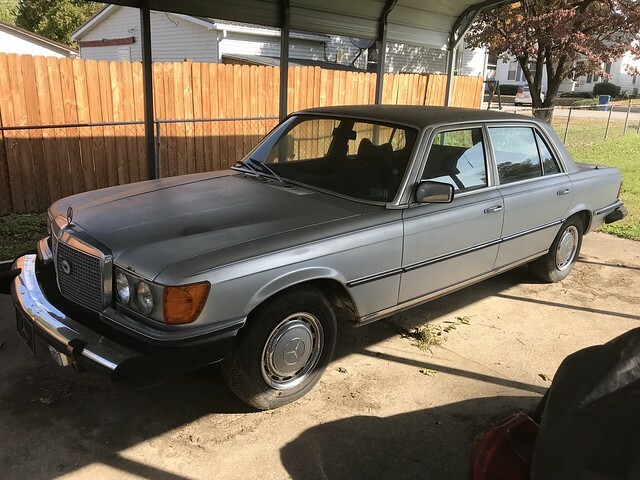 Re: Just Bought A Low-Mile 1977 450SEL! If not done already suggest you make sure you have fresh fuel in the tank plus new filter. The in tank fuel screen might also be gunked up if it sat for a long time. New oil and filter of course. Many folks run 15W-40 or even 20W-50 in hot climates. Non synthetic is best. Also coolant change, Zerex G-05 diluted 50/50 with distilled water. Absolutely change transmission fluid and filter. Check throttle linkages for free movement and no slop. Welcome. Good looking car! That is low miles. Congrats indeed. Did you get all the paperwork with the car, to ensure that mileage is real? Unless it has been baking in the sun for many years, the front chairs look like they might have seen a lot more miles, but I am not a specialist here. Nice looking 450SEL, regardless of the mileage. Well done! Looking forward to hearing how you get on with it. I've only had mine 5 weeks and I took the advice here and have been changing the fluids, although everything seemed to have been done recently anyway. I also did plugs and leads, and have just got a set of injectors. I think that many of the plastics and rubber components in the engine bay will have to be replaced over time, as some of them are very hard and brittle from heat and age and could fail. I'd include your fuel lines here too, especially those around the pump and filter, as some of mine had begun to perish. Your fuel accumulator, in front of the pump might also need replacing. Also check your brake lines too. As Daantjie says, safety first. I've now exhausted my newly acquired knowledge of the W116! Learning fast though.